Basicly this break down to you using your credentials (username & password) that you are already familiar with and a mobile phone that can either receive a text message or can generate a code by using an smartphone app. I'll show you how to enable it for a few services. Head over to Dropbox (be logged in of course) and go to Settings > Security and click on change just in-front of Two-step verification. The rest of the settings should be straight forward. Click this link for Facebook to navigate to Login Approvals (Facebook's way of saying two-factor authentication) then click the checkbox and run through the settings. Next time you login from an unknown device you will get a text via your mobile device and use it to authenticate yourself. 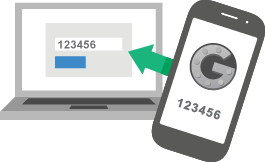 Google was probably the first to introduce two-factor authentication to its users back in September of 2010. To set up two-factor head over to your Google Account and navigate to the Security section. Then it's a matter of clicking on Settings under the 2-step verification heading and working through the options. You can choose to use text messages (similar to Facebook) or use a application called Google Authenticate which generates time based codes. You might also consider adding a backup phonenumber and using the printable backup codes. The backup codes are useful in case of an emergency. The inherent strength of the mechanism, i.e. the entropy of a secret, the resistance of a token to cloning, or the uniqueness and reliability of a biometric. Quality of provision and management. This has many aspects, such as the confidence one can have that a token or password has been securely delivered to the correct user and not an imposter, or that the correct individual has been biometrically enrolled, as well as secure storage and transmission of shared secrets, procedures for password reset, disabling a lost token, re-enrollment of a biometric, and prompt withdrawal of credentials when access is no longer required. Proactive fraud detection, e.g. monitoring of failed authentication attempts or unusual patterns of behavior which may indicate that an attack is under way, and suitable follow-up action.